More than 35,000 people lost their lives to motor vehicle accidents nationwide in 2016, as reported by the Insurance Institute for Highway Safety. This statistic represents a seven percent increase from the year before and the highest number of deaths since 2008. Car accidents are common but usually preventable. When someone else’s negligence causes your accident, you have the right to pursue a legal claim. 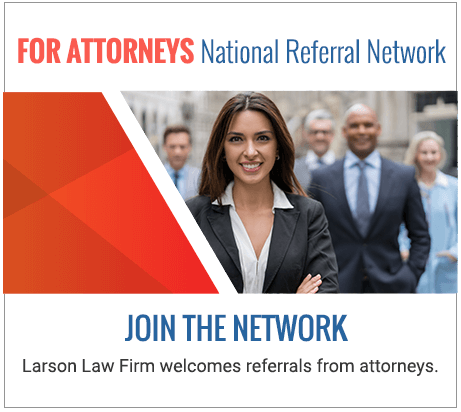 At Larson Law Firm, P.C., our experienced North Dakota auto accident attorneys take car crashes very seriously. We have seen firsthand the challenges brought on by car crash injuries and the pain that families must endure when a loved one is killed by a negligent driver. That is why we diligently work to obtain justice for car injury victims and their families, not matter the cause of the crash. Car accidents occur for a variety of reasons, from car manufacturer defects to driver error. Even with new advancements, like smart braking systems and driver warning systems, car accidents continue to injure and kill far too many people on the roadways of North Dakota. This is because driver behavior consistently ranks at the top of the list among the leading causes of car accidents. Distracted driving. 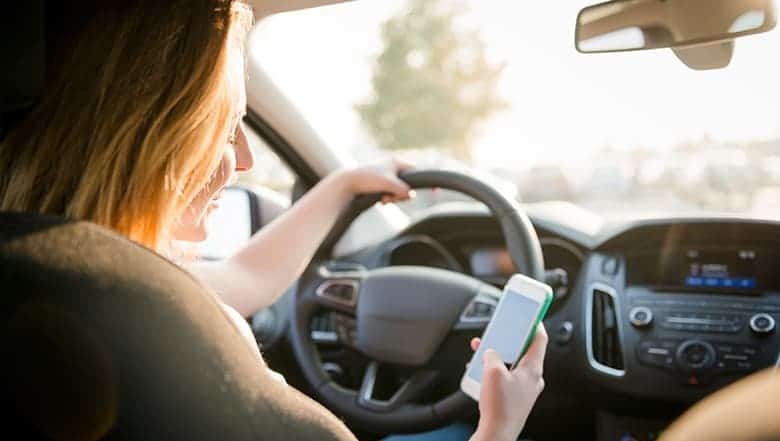 Any activity that diverts a motorist’s attention away from the task of driving is distracted driving, whether it’s texting, talking on a cell phone, eating food or adjusting the radio. Each of these activities prevent a driver from focusing on the road. Excessive speed. Speed limits are posted for a reason. Traveling above the posted speed limit is dangerous. A driver’s time to react to traffic and road conditions is reduced by the speed at which a car is traveling. Speeding becomes even more dangerous when combined with environmental conditions such as rain and snow. Driving under the influence. Vehicle operators driving under the influence of alcohol and/or drugs is a major problem across the country. The Centers for Disease Control and Prevention reports that 28 people die every day in car accidents in which at least one driver was impaired by alcohol. Failing to obey traffic control devices. Traffic control devices are in place to keep drivers safe and control the flow of traffic on city streets. Drivers who run red lights or who fail to obey stop signs are a major cause of side-impact collisions at intersections, as well as fatal head-on collisions. These negligent drivers also pose a serious risk of harm to pedestrians attempting to cross streets. Tailgating. Drivers who operate their vehicles too closely to the vehicle in front of them do not allow themselves enough time to react in the event that a sudden stop is necessary. Tailgating is a leading cause of rear-end car accidents and multiple-car collisions. These car accidents can be particularly injurious when large trucks or motorcycles are involved. Fatigue and drowsiness. Drivers who fail to pull off the road when they are fatigued or drowsy pose a danger to themselves and to other motorists and pedestrians. Fatigue can slow a driver’s reflexes and lengthen reaction times. A tired driver might not be able to react quickly enough to slowing traffic and cause a rear-end collision. A driver may even fall asleep behind the wheel, which can lead to roadway fatality. Our skilled North Dakota car accident attorneys have the knowledge and resources to thoroughly investigate accident causes to help identify all negligent parties. Sometimes, our investigation reveals evidence pointing to automotive defects or poorly maintained roadways as the cause of an accident. When this happens, we earnestly pursue a claim for damages against the individuals or entities responsible for your resulting injuries. The legal team of Larson Law Firm, P.C. is committed to the wellbeing of each client. After a car accident, let us handle the insurance company adjusters and investigators as you focus on recovering from your injuries and healing. From our office in Minot, we are proud to represent clients throughout Ward, Williams, McKenzie, Pierce and Mountrail Counties. Call us today at 701-484-HURT or complete our contact form to schedule a free consultation and case evaluation.